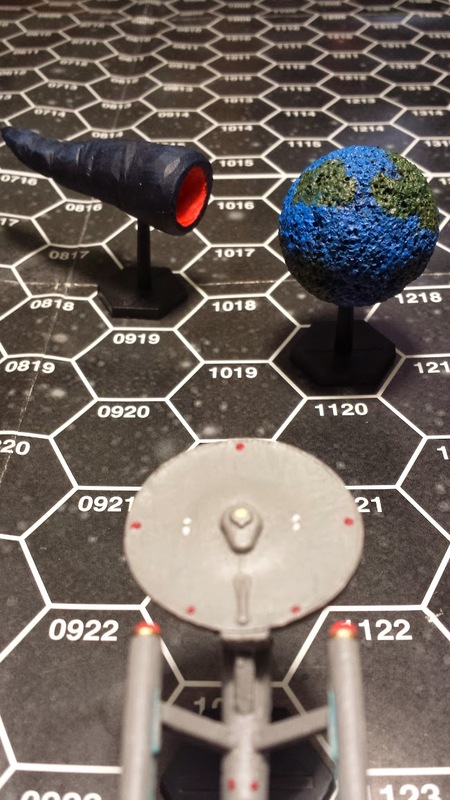 Star Fleet Battles has a long an largely unknown history. 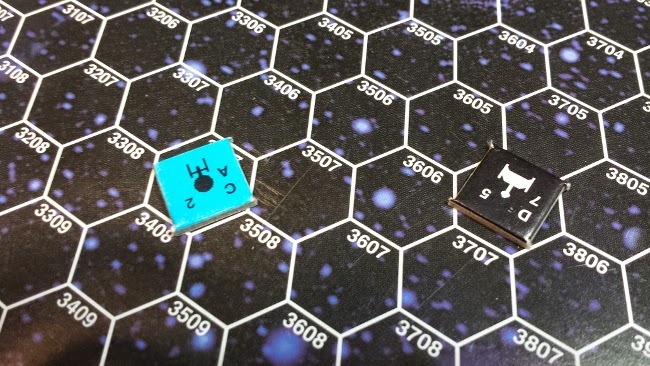 Task Force Games created it in 1979, as a hex and counter game that allows a player to take command of their favorite ships from the Star Trek universe and battle them at warp speeds. However, being only a hex and counter game, it used to be considered a little lack luster. Now most of that will be gibberish, but it covers shield strength, warp power, phaser power and type, and the list keeps going and going. 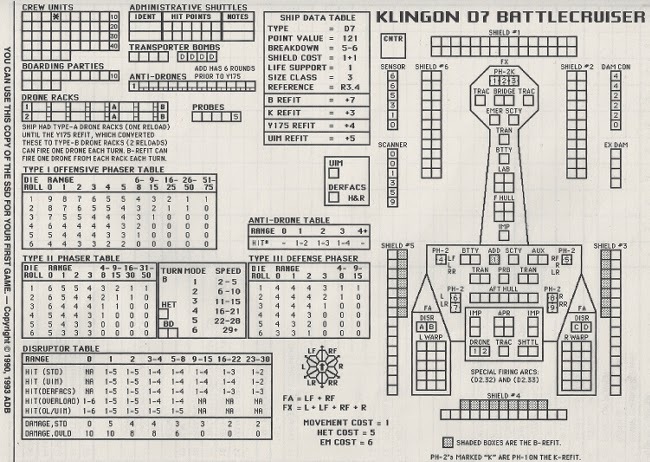 It's got all the detail on paper, but what this game has always needed was something more visual. 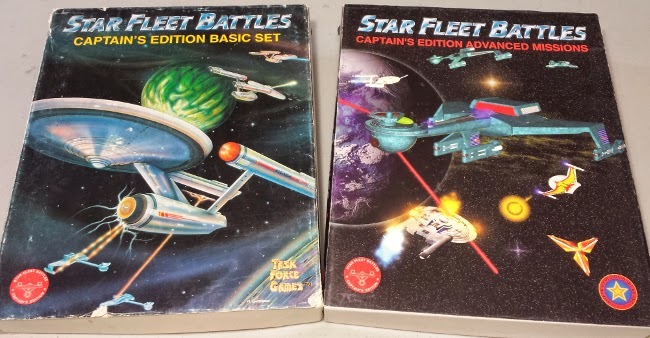 In 1988 Star Fleet Battles was sold to the Amarillo Design Bureau (ABD) and they released a line of miniatures for it. 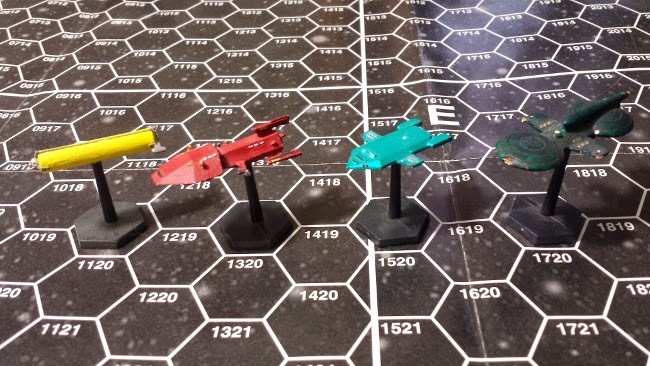 They have also added in new ships and created ship models for species mentioned in the Star Trek universe, as well as some of their own. 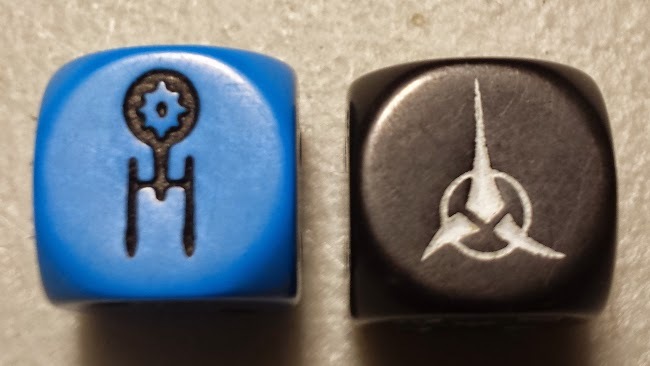 After choosing your fleet, players tally and then allocate energy to their ships different systems, including, phasers, disruptors, shields, life support, and warp travel. After Energy Allocation, comes the action phase, which is segmented into 32 small rounds called impulses where you move and shoot. You move one space for each energy you put into movement. So if your speed was 10 you would move 10 spaces over the course of the 32 impulses, and they have a chart that tells you when to move your ship. 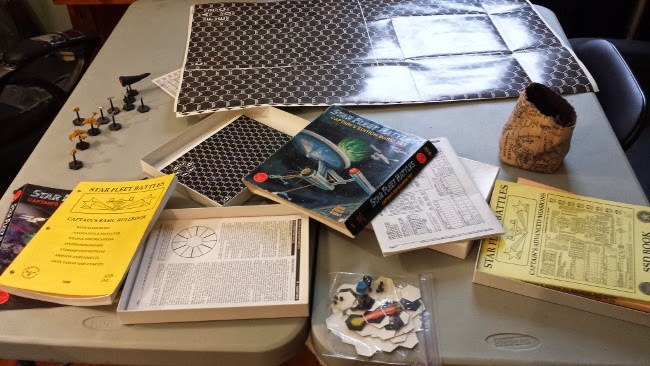 Damage is done by rolling d6's and comparing it to a table to determine the damage. Shields can absorb some damage, but once they go down they are difficult to get back up, and the player then gets to roll for damage on your vessel itself which causes systems to fail and you to lose your fighting spirit. 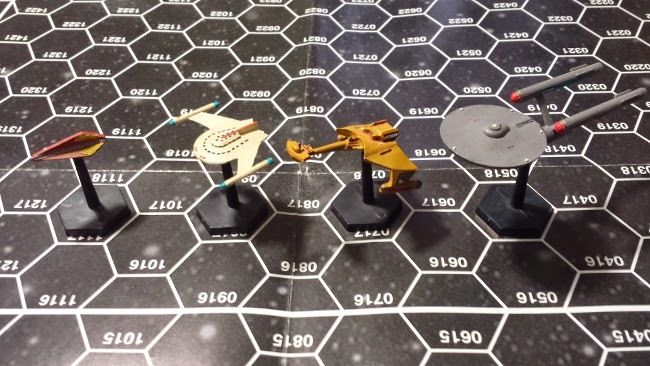 If you are looking for an exciting, in depth look into starship command, then look no further then Star Fleet Battles!